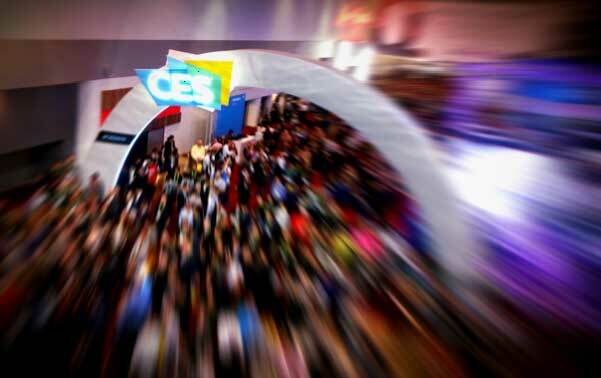 Sprosty NetworkThinking & NewsIndustryUtilitiesWhy did so many energy utilities show up at CES? Disruption has been driven historically by product, service or technology innovation. However, disruption is now taking place where customers find, explore and buy a vast array of tech products. Utilities are learning where they have an expanded right to meet the growing demands of current and especially new customers. The following summarizes our three-day journey at CES 2019 with several of the largest utilities in the U.S. Many utilities have just recently begun to attend CES to explore and understand the many adjacencies to their businesses. These range from smart home, electric vehicles, 5G wireless technologies, building energy management solutions, artificial intelligence and much more. Without experienced guidance and deliberate filtering and prioritization, it is very difficult to make strategic sense of the diverse set of products and services being demonstrated at CES. Sprosty Network led a session with Consumer Technology Association, the organizer of CES, and our utility partners to discuss how to better align their interests and the growing role that utilities will be playing in connected consumer electronics. The agenda of many utilities going into CES was prioritization of new business models that sit outside of the regulated energy base such as Smart Home Automation and Security demonstrating their desire to more proactively engage with their consumer base. At the consumer product layer, connected thermostats and smart home devices provide the ability to save money on energy use while allowing utilities to benefit from decreased load and defer significant capital-intensive generation costs. In this category players like Honeywell, Nest, and EcoBee would be examples of optional standalone thermostats. Other companies are now providing energy efficiency products in addition to Smart Home Security and Automation devices such as Resideo, Constellation, and Frontpoint Home Security. Commercially, players like Synchronoss were demonstrating how their IoT platform can better manage IoT devices, ecosystems and solutions from a single portal. This allows for single-site or multi-site management using an interactive Chat Bot architecture to both alert facility managers (or others managing building or smart city energy deployments) and provide the ability to interactively control each system. One example is centralized environmental control based on external data sources. Another is the ability to be notified of a failure by an HVAC zone and adjust adjacent zones accordingly. Universally, trust continues to be a significant issue for consumers. Innovation is no longer taking place only by major brands, but increasingly by new entrants with no history or relevance to customers sensitive to data privacy issues. This is perhaps one of the greatest areas where utilities can leverage their trusted brand to deliver a host of innovative solutions directly to customers as they become the channel that provides the credibility customers are looking for. Voice control continues to drive down complexity in the areas of home automation and control, allowing users to easily interact with their connected home products including major home appliances and energy efficiency applications (lighting and environmental/temperature control). Vendors such as Samsung that provide both voice control and direct integration with their connected TV further remove consumer complexity by focusing on the entire connected home. Other major appliance brands like WhirlPool also showcased how connected appliances such as the washer and dryer can be managed directly from a mobile device. Sprosty Network has been working with the major utilities in the US for a number of years developing growth strategies in their core business lines along with new revenue opportunities outside of regulated markets. Stay tuned, soon we will be publishing a recent study on the expanded role of utilities in the market along with major categories where they have the right to play. The results are fascinating. Alert me when the study has been published!